Zofia Maria Zwolińska is a violinist who gives both solo recitals and performs with other musicians. She played with symphonic orchestras in Poland and abroad (among others in Germany, France, Italy, Sweden and Venezuela). After completing her studies at the Academy she continued to perfect her violin skills in cooperation with Professor Henryk Palulis and later on by actively participating in violin master classes given by the famous violinist Oleg Krysa. While still a student at the Academy she started to teach violin at the State Music School in Warsaw, and continued to work at different levels of violin education later on. Teaching – after playing violin herself – is her second passion. Among her former students there are renown violinists of international acclaim and members of symphony orchestras in Poland and abroad. Some of her former students became professors of violin themselves, such as Professor Krzysztof Bąkowski and Professor Marta Szlubowska. Straight after completing her studies (M.A.) she attended postgraduate studies and made rehearsals with students of Music Academy. There was a period when she also educated young violinists in Germany and Venezuela. She have 50 years experience of teaching violin lessons in Poland and abroad. She gathered this life long experience and opened Unisono Music Academy. Place where the best musical techniques meet the real music expression. I attended Mrs. Zofia Zwolińska class of violin at the State Music School in Warsaw. I remember and recall with pleasure her violin lessons. I remember her smile and gentleness which were priceless for me as a small child. As far as her professional competences are concerned, I can only say that my father, who was professor of violin at the Frederic Chopin University of Music in Warsaw, send me deliberately to Mrs. Zwolińska’s class. And this fact speaks for itself. 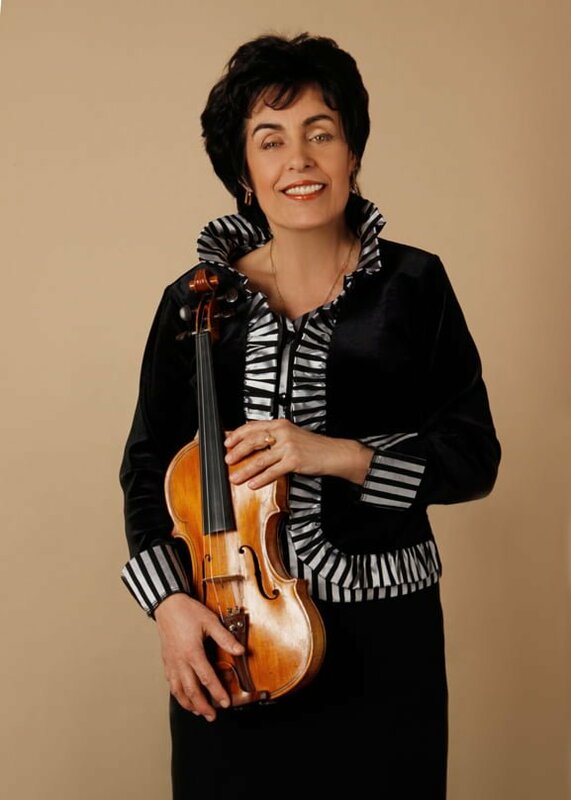 Mrs. Zwolińska herself graduated from the class of violin at the Frederic Chopin University of Music in Warsaw headed by such outstanding masters as the internationally acclaimed violinist and pedagogue Professor Tadeusz Wroński. And this fact alone proves beyond any doubt her professional competence. I am fully convinced that I can recommend Mrs. Zofia Zwolińska as a teacher and I am sure that her young violin adepts will be taught professionally and responsibly. I have had an opportunity to make acquaintance with Zofia Zwolińska’s pedagogic system and work. On these observations I may say with satisfaction that Zofia Zwolińska’s competence, as far as the physiology and technique of violin performance are concerned, reaches the level appropriate to academic artistic education, and in certain respects is completed with analyses and thoughts comparable with the thoughts of the greatest minds who dealt with the art of violin playing. The source of her knowledge certainly springs from her studies at the Fryderyk Chopin Music Academy where she had the unique opportunity to be taught by such outstanding pedagogues and artistic authorities as Professor Tadeusz Wroński, Professor Zenon Bąkowski and Professor Stanisław Kawalla. She was further perfecting her artistic, practical and theoretical competences in contacts with foreign masters whom she met during her professional and educational career. Mrs. Zofia Zwolińska has excellent contact with her apprentices who are invited to freely ask questions and discuss problems connected with violin playing and at the same time have fun with their education and readily realize her suggestions to understand and treat music as an integral part of their childhood or as a scene from a fairy tale. These pedagogical elements help her to make the educational process more appropriate to their age, making it more attractive and more effective in performing their program that I consider the main aim of our work. I consider priceless the fact that at the same time Mrs. Zwolińska does not allow herself to deviate even a bit from the physiology of violin playing. Everyone knows the torment common to talented apprentices who play instrument in an unnatural way because they were inappropriately taught at earlier stages of their education – and now, without previously mastering sufficiently the technics of playing the instrument they experience serious problems. In fact, they are condemned to fail, because not always their faults can be corrected during their consecutive studies. Mrs. Zwolińska is a person to whom we, academic teachers, should be grateful for correctly prepared candidates to further musical education at academic level.